Renaissance’s annual Stiletto Run takes place on April 30th, 2014’s exception to the rule Kings Day Celebration! 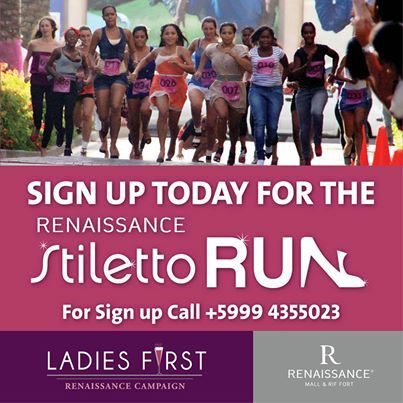 Make sure to sign up for the Stiletto Run and at the same time you’ll be supporting a good cause at the Sinta Ros Foundation! This year is truly special as they have planned a ‘Walk in HER shoes and support the WOMAN,’ Male race! The winners will win an amazing package of the Renaissance Mall & Rif Fort! Call the number on the flyer for more info! Next Post Wanna be a Model?